I have been living in Phnom Penh since I graduated high school in 2012. I worked in a shoe factory for 3 months. Then I worked in a restaurant as a cashier. When I was working, I used to dream about studying at University and choosing the major that I am most interested in. I applied for work in Digital Divide Data (DDD) organization as a photo editor. DDD provided all DMO for me to study at university. 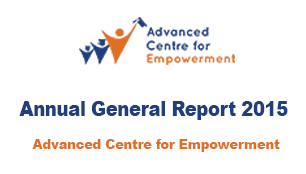 Now I am a scholarship resident of Advanced Centre for Empowerment (ACE). ACE provides me accommodation and many training courses that have taught me how to work as a team, how to be a leader, while improving my management skills, and leadership skills. While I am staying here I will try my best to improve my knowledge and work experience in order to help society. In the future, I want to be an economist analyzer to help develop my country. I also want to share what knowledge I have learned from ACE to the next generation of Cambodian people.